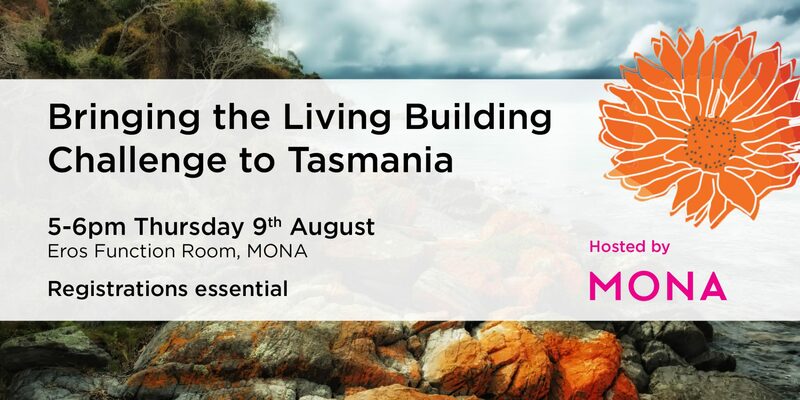 Join us at the Museum of Old and New Art on August 9th to learn about the Living Building Challenge (LBC) and how we can bring it to Tasmania. You’ll also hear updates on the programs and progress of the Living Future Institute of Australia & International Living Future Institute. We’ll be seeking corporate expressions of interest on the night to launch and develop the first Living Building Challenge Collaborative in Tasmania. Local LBC Collaboratives are community-based, in-person groups of Ambassadors that come together for informal learning experiences and to advance community transformation. Collaborative members create the local conditions that support development of Living buildings, landscapes and neighbourhoods. Hosted by MONA & followed by wine and cheese. Sign up to our newsletter & events mailing list?